Sadly, the number of traffic accidents increases each year, and children are mostly affected. This is a crucial reason why parents should make safety a top priority when it comes to traveling with their child. Using a proper car seat will ensure your child is safe and prevent fatal injury during a collision. In 2011, over 600 children under the age of 12 died in car crashes and over 140,000 were injured, according to the Center for Disease Control and Prevention. 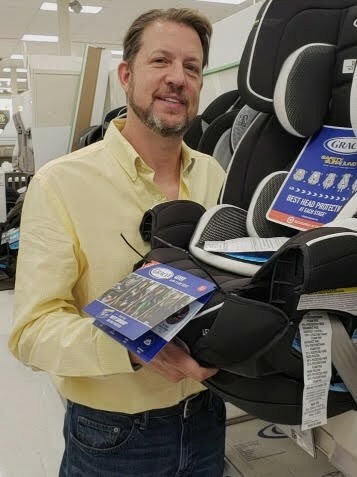 Another study found that more than 600,000 children rode in vehicles without a child safety seat, or booster seat, and were not properly buckled in. A child is involved in a car accident every 34 seconds according to the National Highway Traffic Safety Administration. Car injuries are a major source of injury and death in children. Always be sure you’re using a proper car seat that is installed correctly and appropriately fits your baby’s age and weight. Car seats for infants should face the rear until the age of two. Forward-facing safety seats are used when the child has surpassed the height and weight limits of a rear-facing seat. When your child outgrows a forward-facing car seat, they can now sit in a booster seat until they are old enough to use a seat belt safely. Most children ride in a booster seat through 8 years of age. Children should stay in a booster seat until adult seat belts fit correctly. In most states, this typically happens when the child reaches 4 feet 9 inches tall and are between 8 and 12 years old. Children who outgrow booster seats should always wear a lap-and-shoulder seat belt. The Community Preventive Services Task Force recommends that manufacturers meet all proposed safety guidelines. Install and use car and booster seats correctly, and use them according to the seat’s owner’s manual or get help installing them from a certified Child Passenger Safety Technician. Airbags can kill young children riding in the front seat. Never place a rear-facing car seat in front of an airbag. No matter how short the trip, make sure your child is always adequately restrained. Set a good example and wear a seatbelt yourself every time. Originally published at drcolinknight.com on December 7, 2018.